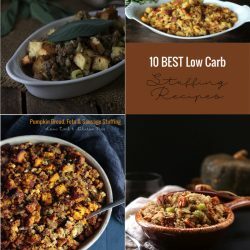 I did a roundup of low carb soup recipes for Fall last year, and it remains one of my most popular posts today. 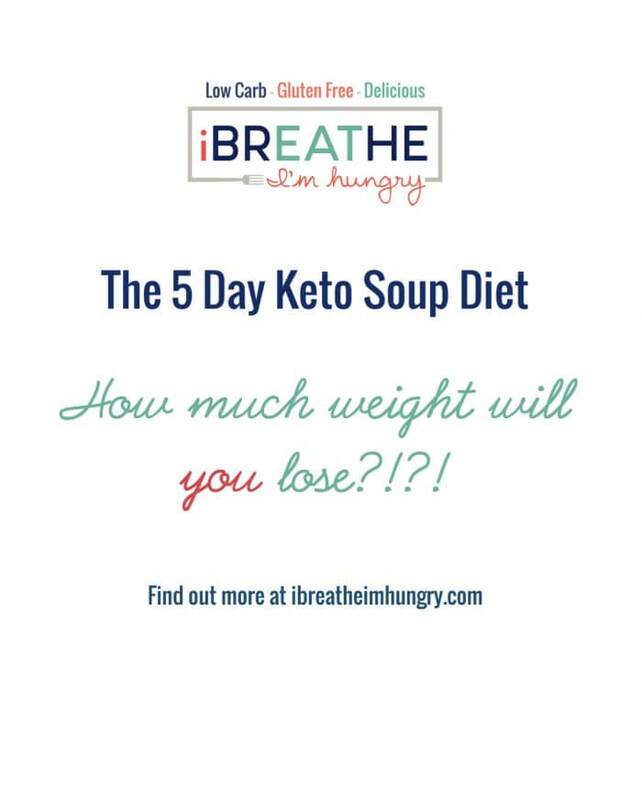 It’s a fact that most people crave soup when the weather cools, and low carb diet followers are no exception. Now I haven’t tried all of these soup recipes yet, but based on the comments, photos, and/or reputations of the bloggers, I’m confident that these soups are going to be awesome. 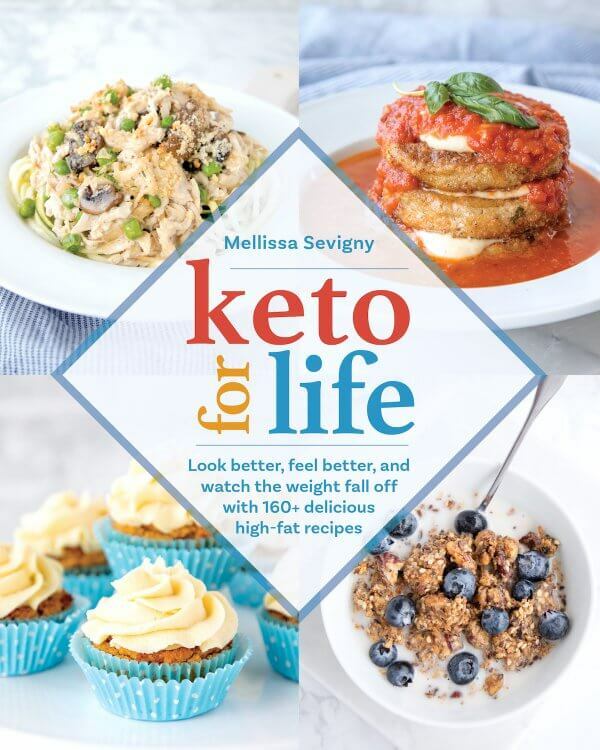 A couple of them are mine – and those recipes I can definitely vouch for! 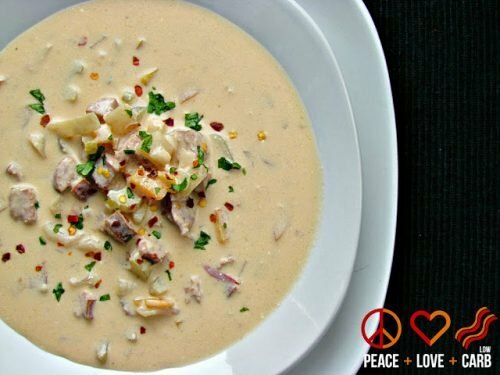 This first recipe is from the Queen of low carb soups, Kyndra from Peace, Love, and Low Carb. In fact, she’s so good at soup, Kyndra wrote an ebook called Slow Cooker Soups and Stews, which contains 30 awesome recipes! 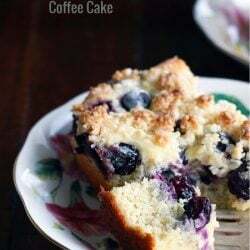 As an added bonus, this recipe can also be made in the crockpot! Any time you combine cheddar and beer, it’s a winner as far as I’m concerned! 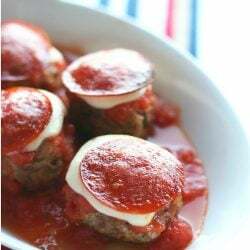 Speaking of cheese, how about this easy and delicious low carb take on a classic from Andres over at The Low Carb Diet? 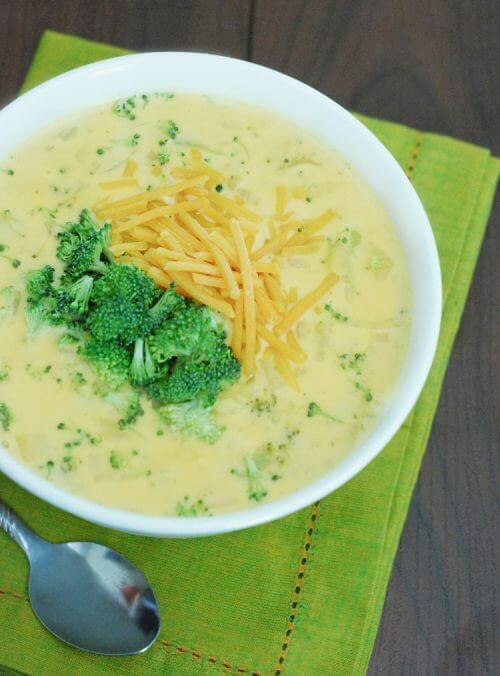 I love broccoli cheese soup, but like so many other creamy soups, it’s usually thickened with lots of flour. 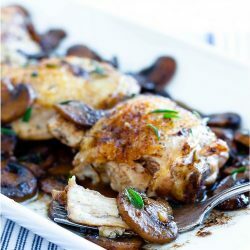 Andre’s version looks amazing, and uses heavy cream to get that luscious creamy texture! This next soup from Mama Miss is perfect for those of you seeking a warm bowl of comfort – minus the dairy. 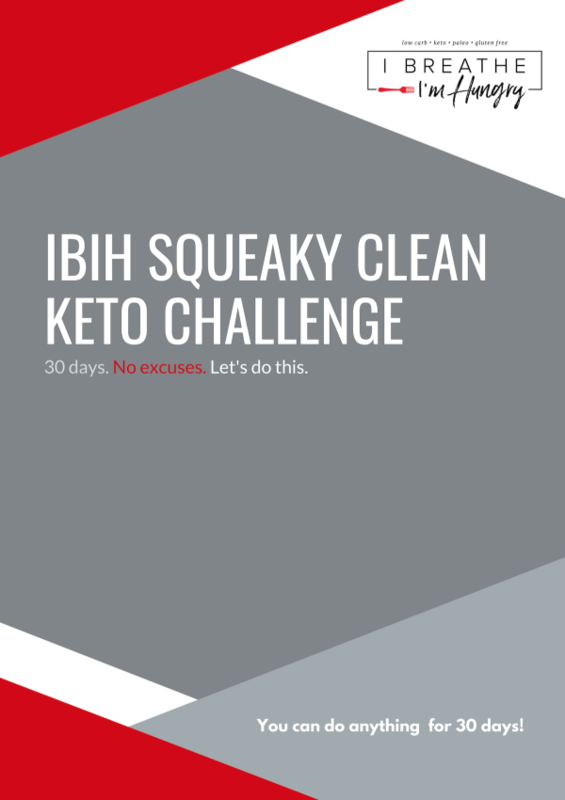 Not always easy to find, creating a delicious low carb soup that is not cream based and loaded with cheese is a real accomplishment. This light and refreshing soup contains many of my favorite flavors – if I’m being honest though, I’d probably sprinkle it liberally with cheese and a dollop of sour cream – but that’s just me! 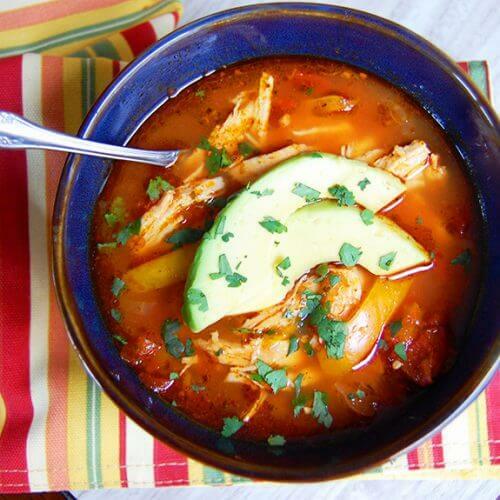 Can’t get enough Mexican flavored soups? Me either! 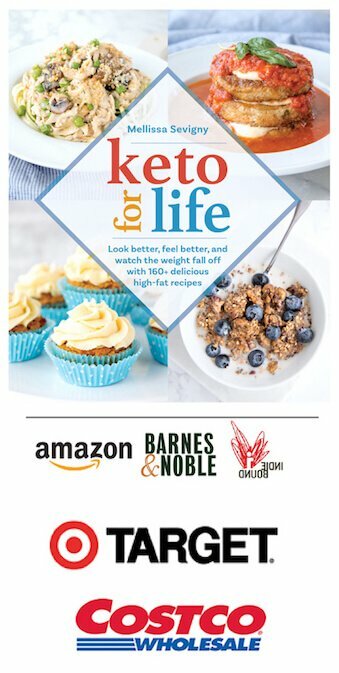 This next one is courtesy of Paleo Grubs, and is also dairy free! 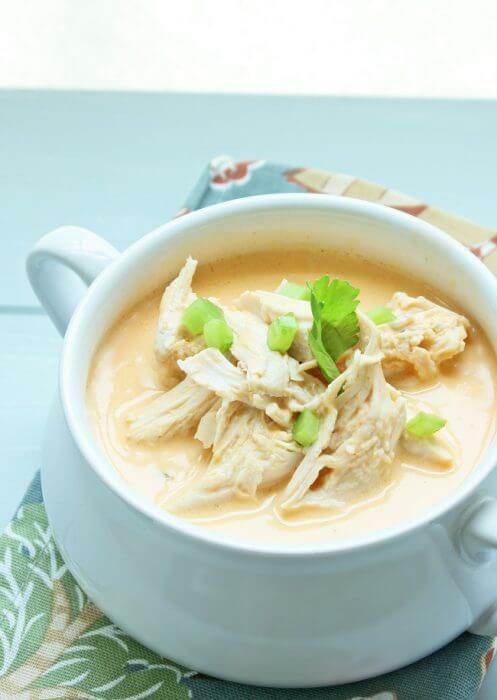 Chicken enchiladas in soup form? Count me in! 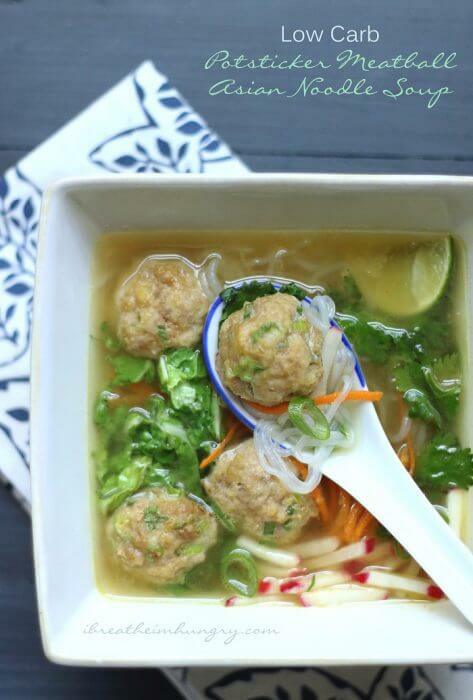 If you love Asian noodle soups, then this low carb soup recipe from yours truly is going to be right up your alley! The meatballs are made with pork and flavored with ginger and scallions, then you’ve got the shiritake noodles and some fresh herbs and veggies thrown in. Add the rich and fragrant broth and you’ve got a steaming bowl of slurp-worthy AWESOMENESS. Feeling in the mood for seafood? 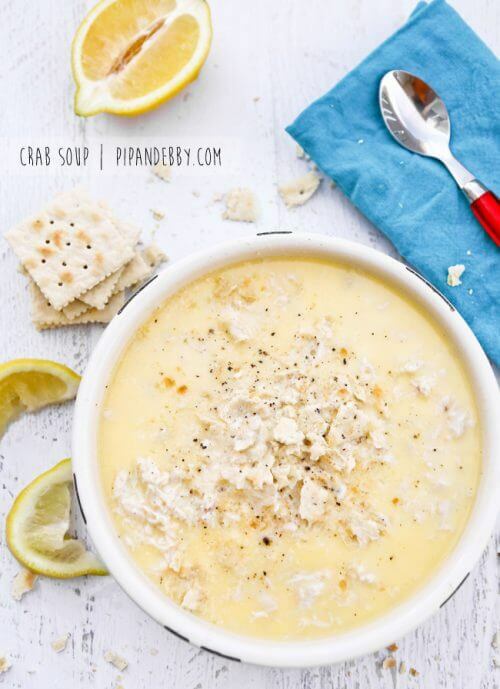 This creamy, luscious soup from Pip and Ebby will satisfy your hunger and keep you from getting crabby. (Sorry.) You’re only five ingredients and less than 30 minutes away from this bowl of bliss! 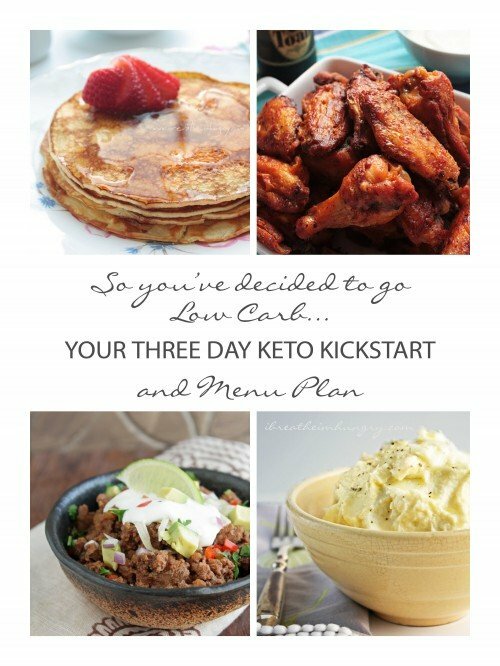 Skip the saltines if you want to keep it low carb and gluten free though! Seafood not your thing? 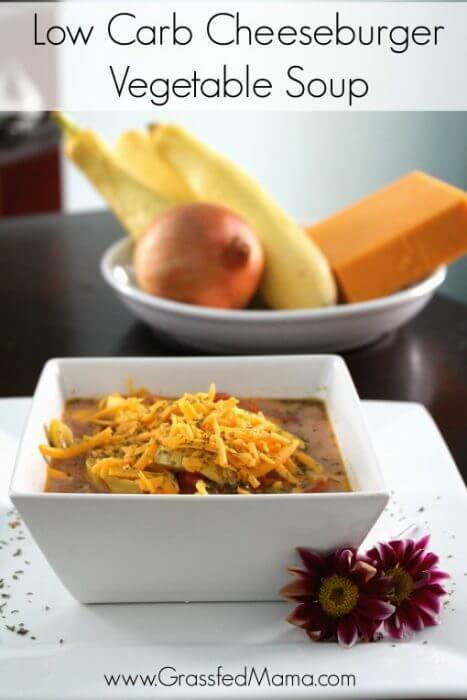 No worries, Grass Fed Mama has you covered with this delicious cheeseburger inspired soup that will also give you a healthy dose of veggies! I won’t tell the kids if you don’t! Here’s another guaranteed crowd-pleaser of a soup, based on the flavors in everybody’s favorite classic buffalo wings! 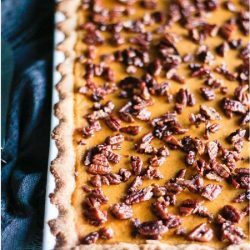 This is a Hungry Family Favorite for sure, and once you try it, you’ll see why! 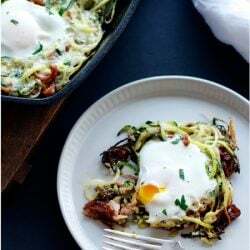 Leave it to Gina of Skinny Taste to make such an ordinary garden veggie look and taste amazing – even when you thought you couldn’t stand another bite of zucchini until next Summer! 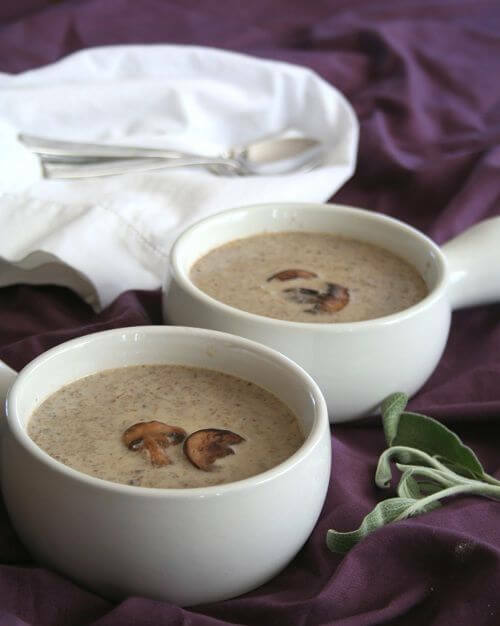 Super easy and with only five ingredients, this soup is also light on calories if you’re counting! So that’s it! 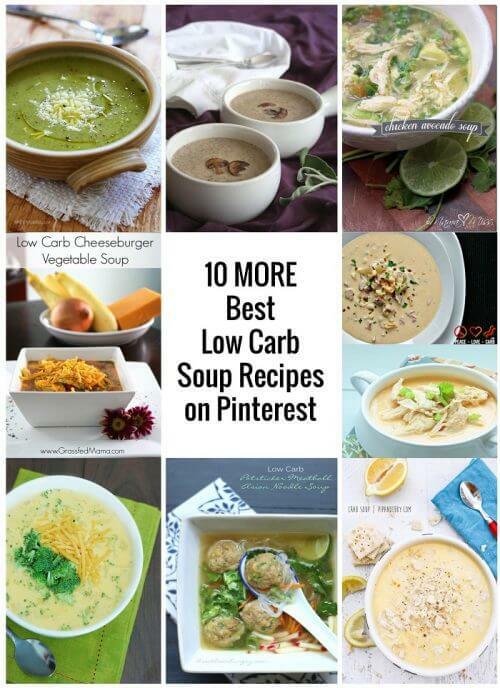 Ten more delicious low carb soup recipes for you to add to your repertoire! 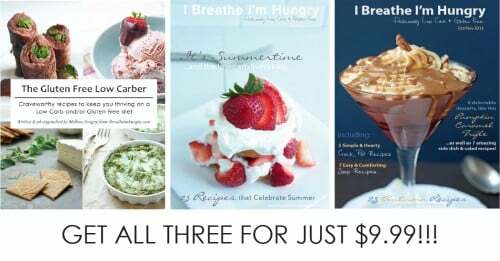 Have you tried any of them already? Let us know how they were! 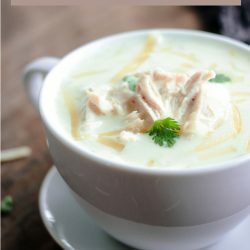 Did I miss some of your favorite low carb soup recipes from around the web? Feel free to link up and share your favorites in the comments section! 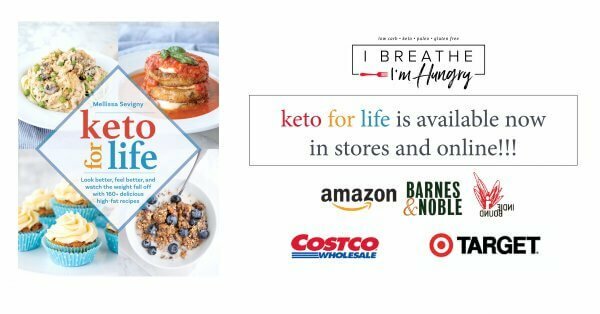 You can find more great low carb soup recipes in my Fall E-zine and my book The Gluten Free Low Carber which is still bundled along with the Summer issue for just $9.99 – that’s a discount of over 50%! 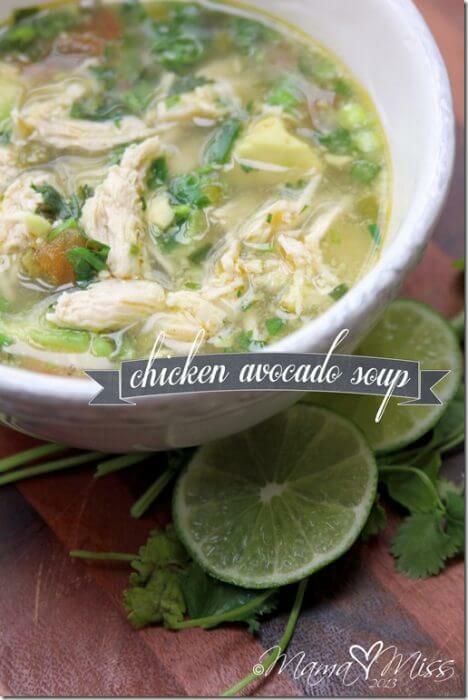 Trust me, that Avocado chicken soup is fantastic and as much as I love parm or the sour cream, the soup doesn’t need it, and I think it would detract from front it! 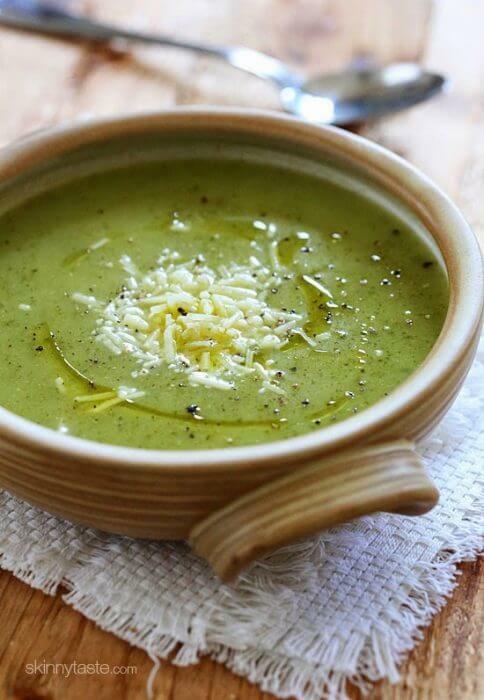 did you tried freezing one or more of theses soups ?.. 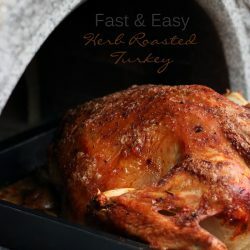 I something work 12 hours shift and I would like to try to freeze a batch and be able to bring it to work and reheat it. I’ll be looking at making more than one of these soups too!